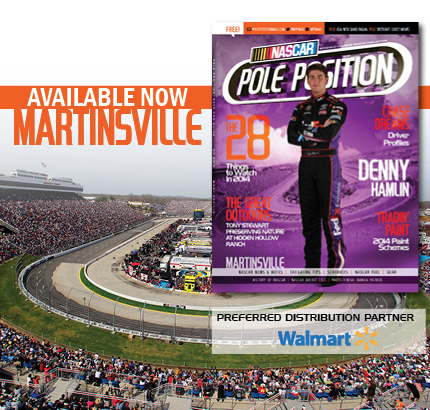 NASCAR Pole Position Martinsville edition is now available. Please head to Walmart, or other area retailers that offer free magazines, to pick up your free copy. You can find a list of preferred retailers distributing NASCAR Pole Position in the Martinsville area market here. Next Article » View This Week's Edition of ROAR! For Free Now!